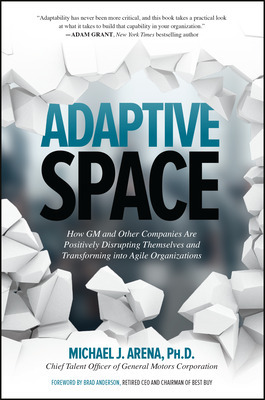 Michael Arena, PhD, Chief Talent Officer for GM, explains why organizational agility is inherently social and the importance of discovery, development, diffusion and disruption connections in creating an adaptive space. 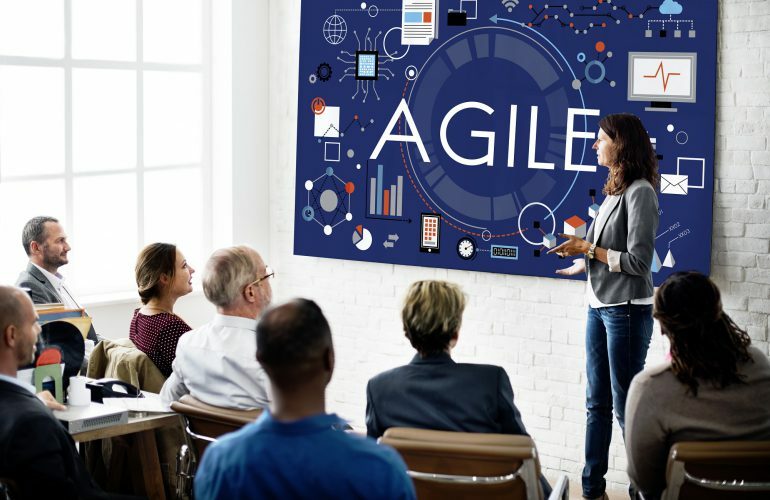 One of the biggest challenges facing organizations today is the need to be agile. We live in the era of disruption, where the lack of agility is the kiss of death. John Chambers, Executive Chairman of Cisco said, “if you don’t transform…if you don’t reinvent yourself, change your organization structure; if you don’t talk about speed of innovation—you’re going to get disrupted. And it’ll be a brutal disruption, where the majority of companies will not exist in a meaningful way 10 to 15 years from now.” A study from Washington University projects that an estimated 40% of today’s S&P 500 companies will no longer exist a decade from now. This reality leaves organizations with a critical choice, disrupt or be disrupted. They need to adapt, in real time, in response to the changing demands of their environments. In the era of disruption organizations need to be more liquid than static. Problem is, most organizations aren’t designed to adapt. They grew up in a world where operational efficiency was king. They were designed to manage, coordinate, and control activities. In such organizations, bold new ideas are quickly stifled. Even in the rare case where a brave soul introduces a provocative, new idea, it is almost always met with a spirited counter argument of why it won’t work. These organizations have perfected operations at the expense of agility. The result is a suppressive environment were people keep their boldest ideas to themselves. However, here is the good news, even in the midst of these constraining forces there are times when individuals are very willing to speak up. That is, when they truly trust the people they are working with. When they have built up social capital in their relationships, people are more openly willing to share, debate and iterate on ideas. It turns out, agility is more social than structural. When debates are stifled, so is agility. In the era of disruption, social capital is critical to enabling organizations to adapt in real time. Making it critical for leaders to nurture an environment of trust and engagement. In such an environment, leaders need to more deeply understand the power of social interactions in facilitating the flow of ideas, information and insights. This is where adaptive space comes into play. Adaptive space can be thought of as the relational and emotional freedom for people to freely explore, exchange and debate ideas. It operates as a sort of free trade zone for ideas, by tapping into the power of network dynamics, adaptive space creates connections that serve to discover, develop and diffuse new ideas into and across an organization. For organizations to be agile, they need to openly scan across and beyond the organization for the next big thing. Then they need to think about how do we bring this idea into the world in a more tangible manner. Finally, they need to scale these concepts throughout the organization to enable a new normal by positively disrupting itself. In particular, there are four types of connections that are critical. Discovery and development connections represent how various networks within an organization are relationally arranged to explore and experiment with ideas. While diffusion and disruption represent the day-to-day emotional connections within an organization that either encourage people to engage in innovative activities or challenge the status quo. Together, the 4D connections usher in the new, innovative ideas and concepts necessary to positively disrupt. Discovery Connections represent the bridge relationships across groups. They help organizations to overcome insularity. These bridge connections provide access to more ideas, insights and information. Sociologist Ron Burt’s research suggests that people who bridge groups are best positioned to have insightful ideas. In one study of nearly 700 managers, he was able to determine that the value of any given idea corresponded to the degree in which a manager had bridge connections. That is, the more managers discovered from other groups, the more valuable their ideas were. Discovery interactions are the lifeblood of agility. They provide the fertile intersections for innovative possibilities to be discovered. However, ideas are cheap. They are only useful when they are brought to life. When they are applied. 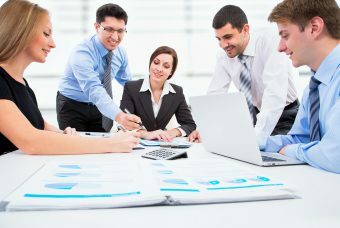 Development Connections enable cohesive teams to facilitate the idea sharing and refinement process. Cohesive groups are represented by many redundant connections within a given team which often result in deeply trusting relationships. This level of trust enables individuals to more openly share, debate and refine ideas. Harvard researcher Lee Fleming analyzed data from more than 35,000 inventors and found that while bridge connections generate valuable ideas, they actually hamper application. That is, for ideas to be useful, they need to be openly shared, experimented with and refined. Fleming found this happens best in small, cohesive teams with high levels of trust. These development connections facilitate idea elaboration and refinement. Amazon calls these “two pizza teams” because they are literally small enough that two pizzas can feed them for lunch. The cohesive nature of these teams enables team members to more openly challenge one another while still operating with speed. 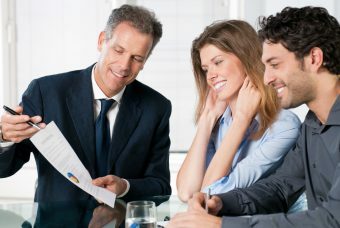 Therefore, development connections quickly bring ideas to life so they can generate impact. However, well-developed ideas are of little value if they are stuffed away inside some entrepreneurial pocket of a much broader organization. This is why diffusion is so essential. Diffusion Connections facilitate the linking up process to move ideas beyond local development pockets by scaling them across the organization. The fact is, ideas that are developed deep within cohesive two pizza teams are 43% more likely to be rejected by the broader organization. We know this as the “not created here” phenomenon. This is where network energy becomes essential. A few years ago, network experts Rob Cross and Wayne Baker conducted a comprehensive study of seven large organizational networks. 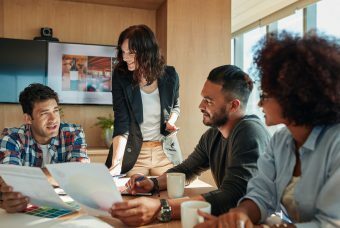 What they discovered was amazing: energy —particularly from a person whom they labeled as an “energizer”— has a significant impact on organizational progress. They determined that energy inside the network has a 4x lift in facilitating progress and idea diffusion. These energizers have the distinct ability to actively engage others in progressing an idea forward. That is, they inspire diffusion by enthusiastically encouraging others to engage in an idea. However, even diffused ideas need to break through the brick walls of well-fortified organizational structures and systems. This is why disruption connections are so crucial. Disruption Connections help to break down the roadblocks that exist within organizations that stifle bold innovations. These connections disrupt the existing structures to enable new solutions and innovations to be formally endorsed. Disruption connections enable the creative destruction process that combat against the current status quo. This is enabled by seeding the network to fight against the social controls that exist within organizations. Social psychologists suggest that in-group norming can limit disruptive thinking. That is, individuals set behavioral expectations for one another, forming a social bubble that limits breakthroughs. This is particularly true for many leadership teams. This means that deliberate connections must be forged to seed the network for disruption. These connections help break through these social bubbles by introducing ideas from multiple perspectives, creating a network echo that closes in on leaders and generates excitement about these new possibilities. Combined, Discovery, Development, Diffusion and Disruption connections proactively position individuals and organizations alike to disrupt before being disrupted. In the era of disruption, our understanding of social capital will become increasingly more important to organizations. That is, these connections can either unleash, or stifle adaptation. 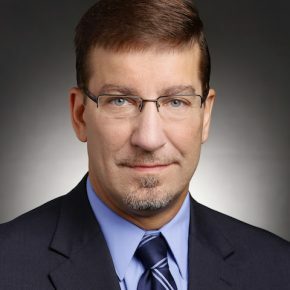 Michael Arena, PhD, Chief Talent Officer for GM, has helped enable the company’s ongoing transformation. Winner of the 2017 Walker Prize from People + Strategy, who’s work has been cited in the Wall Street Journal, Fast Company, Fortune Magazine, Harvard Business Review and Business Insider. Prior to GM, Arena has served as a visiting scientist at MIT. He teaches at Penn, is a coach in the Stanford School, and is author of Adaptive Space. MICHAEL ARENA, PhD, Chief Talent Officer for GM, has helped enable the company’s ongoing transformation. Winner of the 2017 Walker Prize from People + Strategy, who’s work has been cited in the Wall Street Journal, Fast Company, Fortune Magazine, Harvard Business Review and Business Insider. Prior to GM, Arena has served as a visiting scientist at MIT. He teaches at Penn and is a coach in the Stanford School.